Be in control of multiple studies simultaneously. Each study has its own participant, instrument management and data monitoring in real-time. If you want to jump straight in, we’ll do the heavy lifting of the set-up. 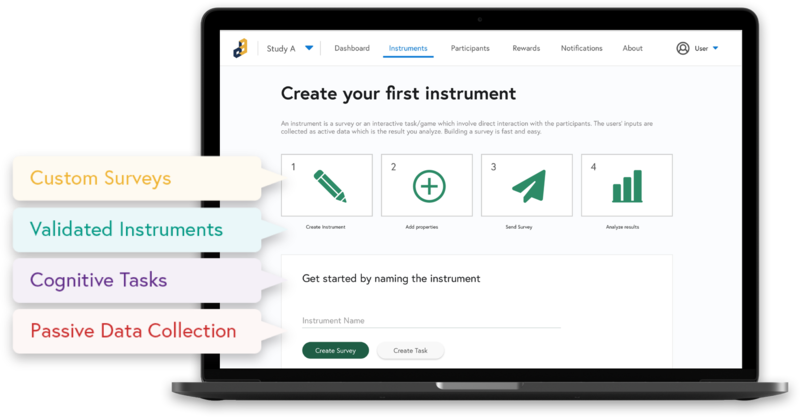 Break your study down into smaller cycles with unique goals, instruments, and rewards. Trigger changes based on data inputs, real-world events, and other milestones. Easily build a custom questionnaire—or select from our inventory of clinical assessments and mobile-optimized behavioral and cognitive games. Then schedule and deploy, selecting specific participant groups from whom you would like to collect more information. 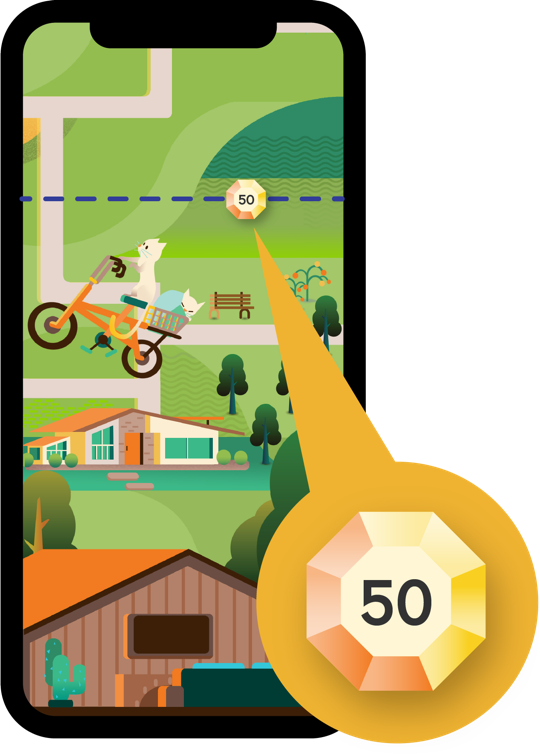 Use reward points, badges, and a customizable gift system to drive engagement. The user interface allows you to build and manage your preferred incentive system including direct payments or reward fulfillment. 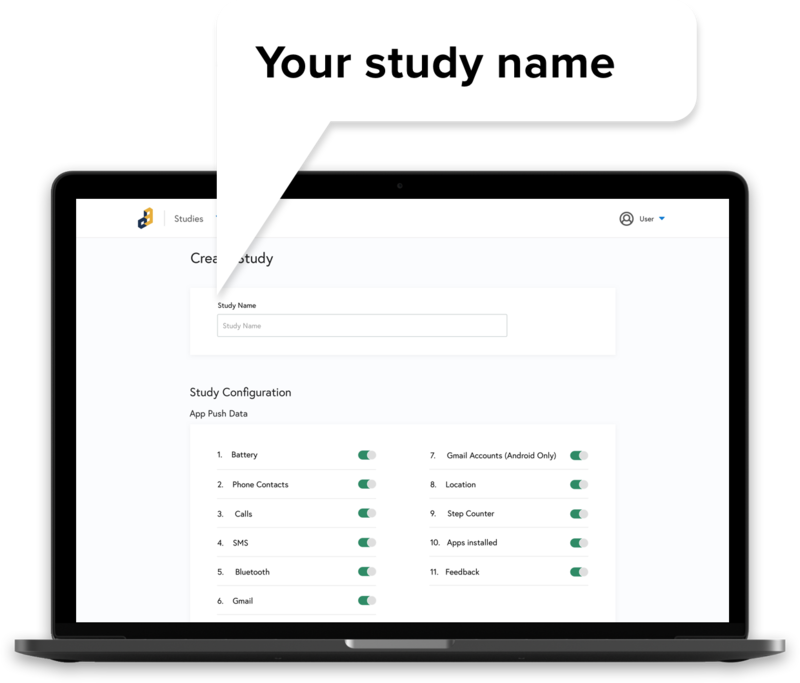 Monitor your study participants accurately and in real-time. 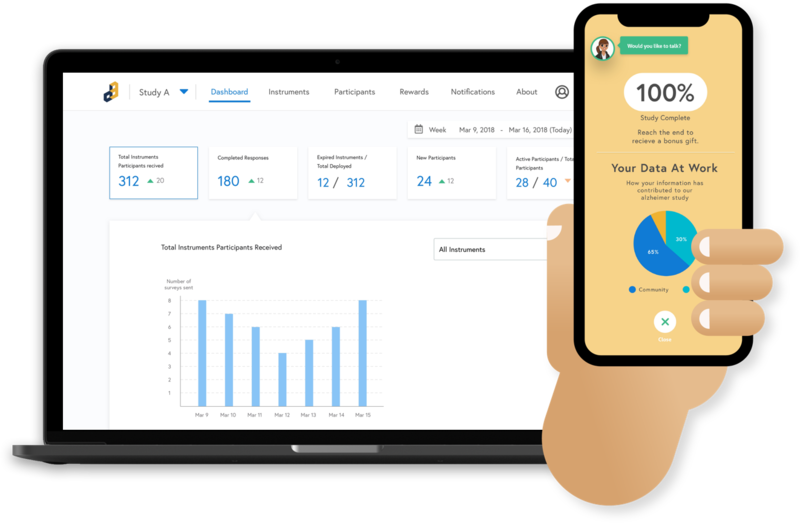 Interactive dashboards allow you to review the efficacy of your study instruments, the best times to engage your cohort, and modify study parameters to improve compliance. Our scheduling system allows you to push instruments to the right user at the right time. Our platform is designed around a Secure and HIPAA, GDPR, Privacy Shield and FDA 21 CFR Part 11 Compliant AWS Private Cloud. For custom projects On-Premise hosting solutions are available. 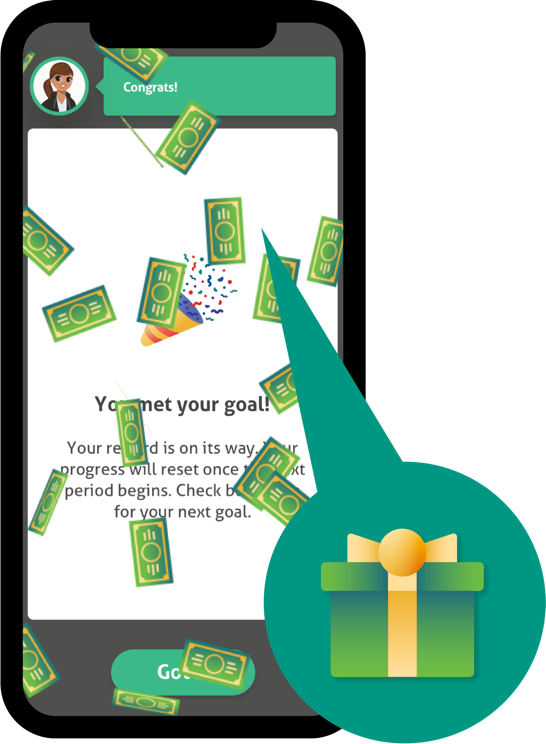 A robust system of automated notifications, milestone announcements and other alerts ensures high quality retention. 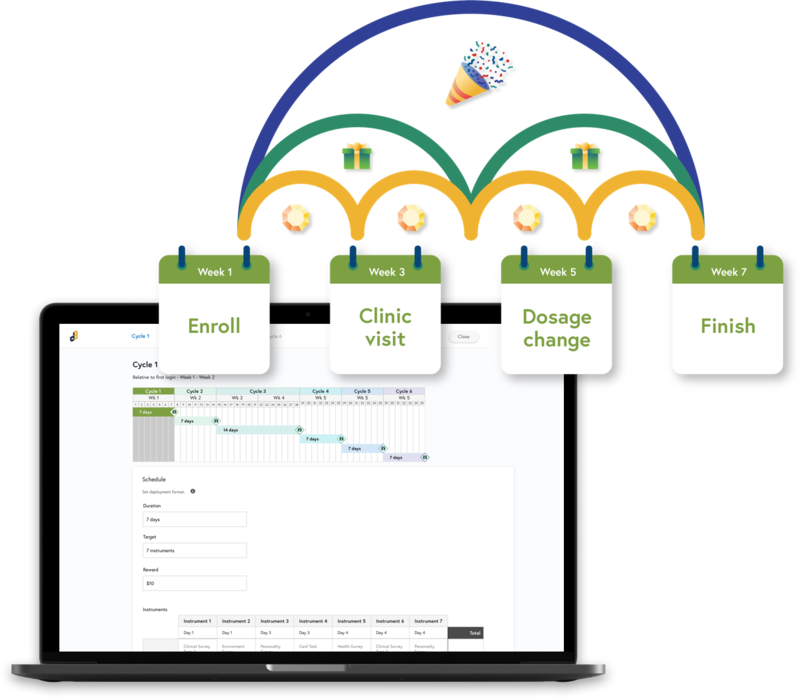 Integrate the data from our system as part of your existing clinical systems with easily customized JSON, XML, and SAS based data exchange and RESTful APIs.